Brace yourselves, Buddy Cole fans. 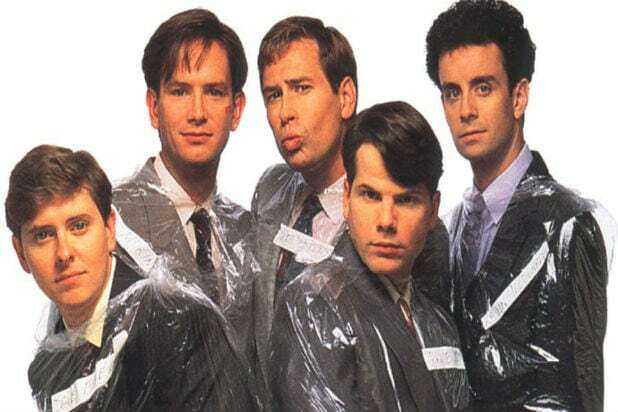 The Kids in the Hall cofounder Kevin McDonald says the Canadian sketch comedy troupe may be making a return to television for the first time in nearly a decade. McDonald was referring to “W/ Bob & David” a 2015 Netflix sketch comedy miniseries created by Bob Odenkirk and David Cross. While it wasn’t billed as as a revival of the duo’s influential 1990s HBO series “Mr. Show,” it featured much of the earlier show’s cast, writers, and subject matter. McDonald emphasized that the talks are in very early stages, since it’s tough to get all five members together at once. “It’s so at the beginning, we’re not able to even get conference calls together. There’s always one or two of us that are kind of busy. And because we are who we are, there’s always one of us against it,” he said. Broadway Video, Michaels’ production company, didn’t respond to requests for comment. The group is best known for characters like the “head crusher,” “Buddy Cole,” and the “Chicken Lady,” as well as topical humor about issues like stalking, and LGBT rights.